This is a very interesting, yet seldom mentioned or visited ruin easterly of Chaco Canyon. It consists of two separate complexes, perched on top of mud hills, adjacent to a wash. 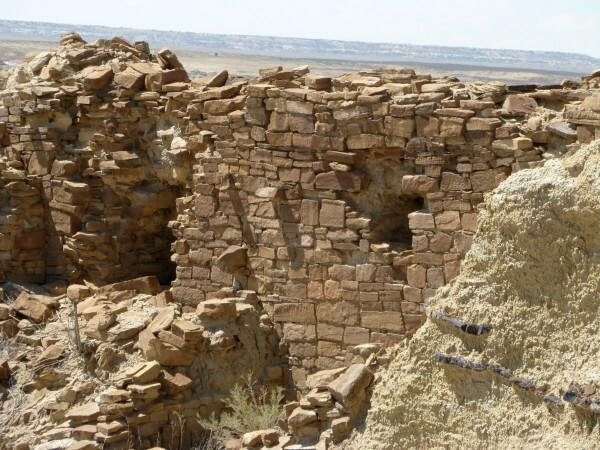 While it lacks some of the features that define a typical Great House (Great kiva, multiple stories, no apparent connecting roadway, etc), it does have other compensating features that generally would put it into a Chacoan Great House category. 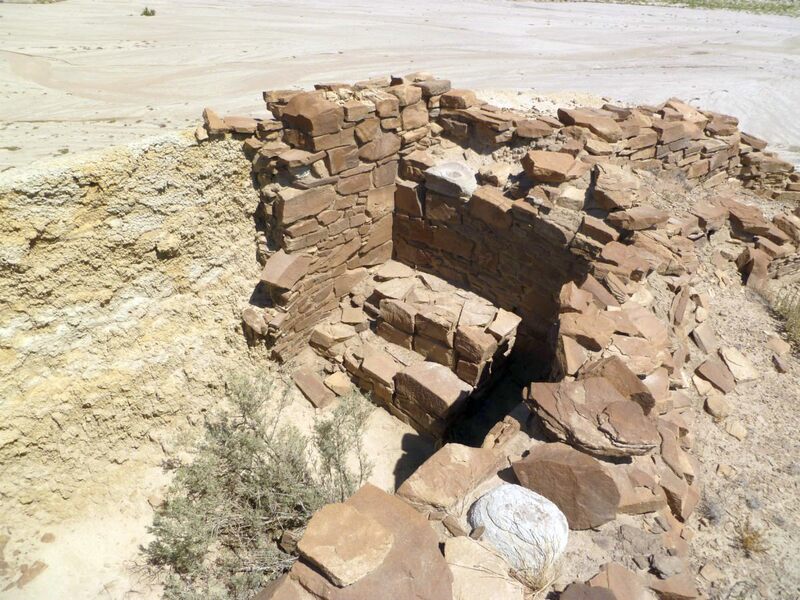 These include multiple stairways and platforms, substantial smaller kiva construction and coursed adobe walls. 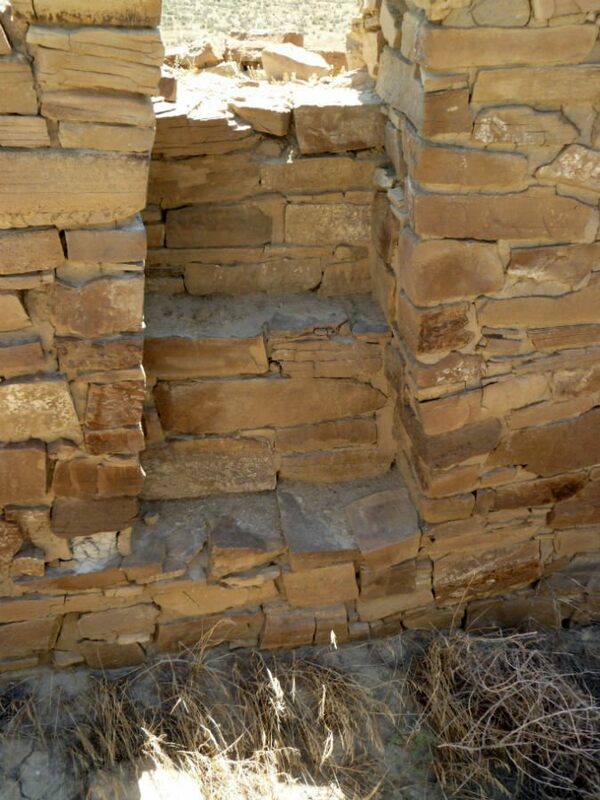 The use of adobe in a Chacoan structure is very unusual. 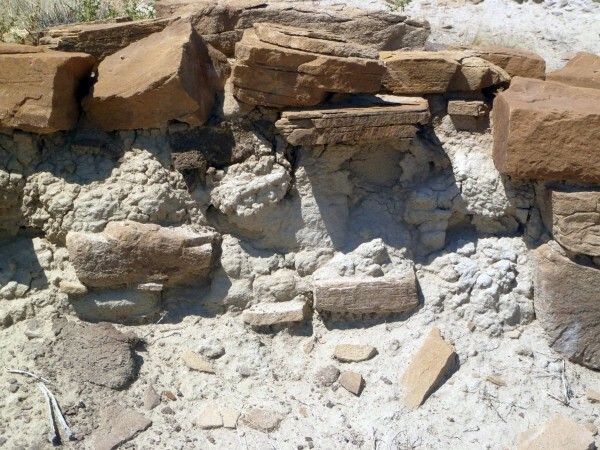 Bis sa’ani is Navajo for “clay in place”. The Navajos also refer to the site as Bisghaa ‘kini, or “house on top of clay”. The latter is probably the most apt description possible. The two complexes comprising Bis sa’ani total about 40 rooms. This includes five blocked in kivas. 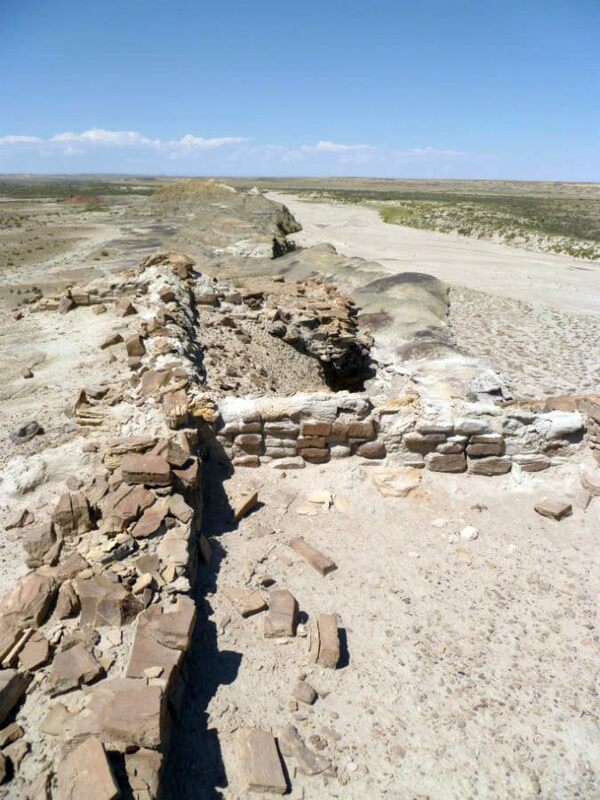 The westerly complex consists of one structure and is known as “West House”. About 100 meters to the east, the larger, easterly complex consists of four houses, Casa Quemada (“burnt house”), Casa Hormiga (“ant house”), Rabbit House and South House. 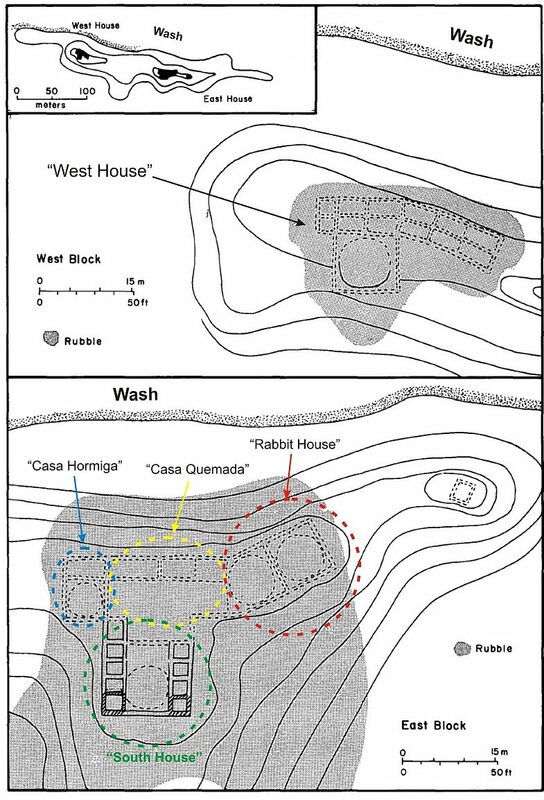 Bis sa’ani apparently acted as the community focal point for approximately 35 contemporaneous small habitation sites to the south and west. Through tree ring and archaeomagnetic dating a very firm occupation period has been obtained. Occupation only lasted 50 years, from AD 1100 through 1150. The site was first studied as part of “The Outlier Survey – A Regional View of Settlement in the San Juan Basin” by Powers, Gillespie and Lekson in 1983, but no substantial excavation was performed. 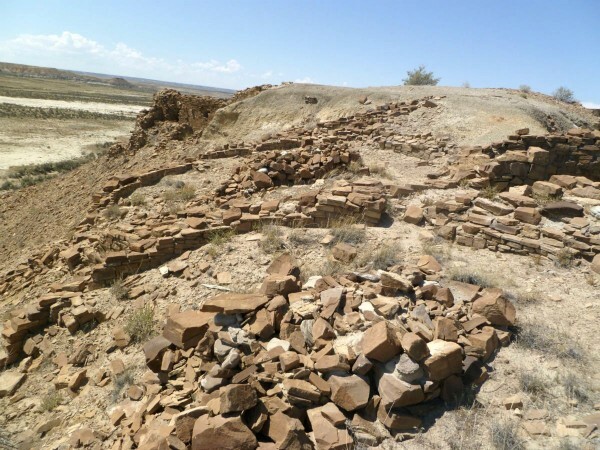 Around 1980, the Alamito Coal Company leased 26 square miles from the Navajo Nation, easterly of Chaco Canyon, for a potential coal mining operation. As part of the agreement, a cultural resource survey was performed on the land, to mitigate impacts to possible archaeological sites. 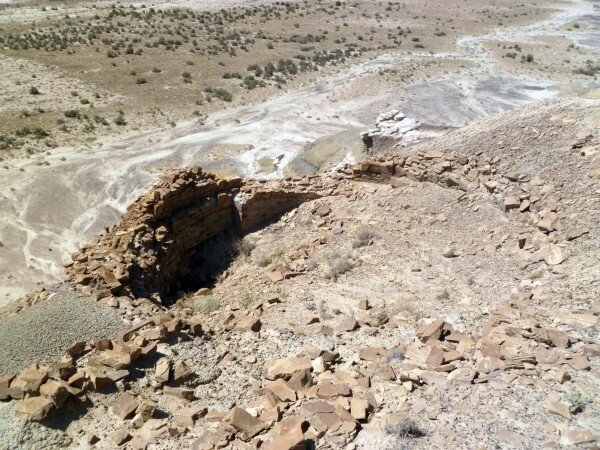 This resulted in a contract archaeological project to excavate and stabilize Bis sa’ani. Excavation at the main Bis sa’ani site focused on the clearing of already disturbed architecture features or those areas erosionally threatened. This field work occurred in the Summers of 1980 and 1981. The product of this contract, in addition to the excavation at Bis sa’ani, was a lengthy, three volume 1982 report (four volumes if you count the appendices), titled, “Bis sa’ani: A Late Bonito Phase community on Escavada Wash, northwest New Mexico” by Breternitz, Doyel and Marshall. The excavation project tested all rooms of the various houses. 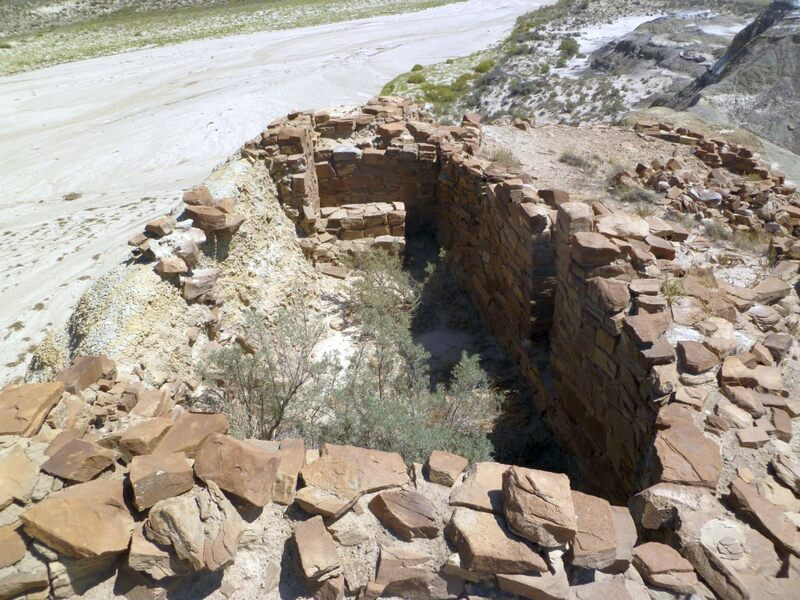 In addition, Casa Quemada was completely excavated as was “The Knob” a small, semi-circular jacal structure located about 30 meters easterly of the East Complex on top of a erosional cone. 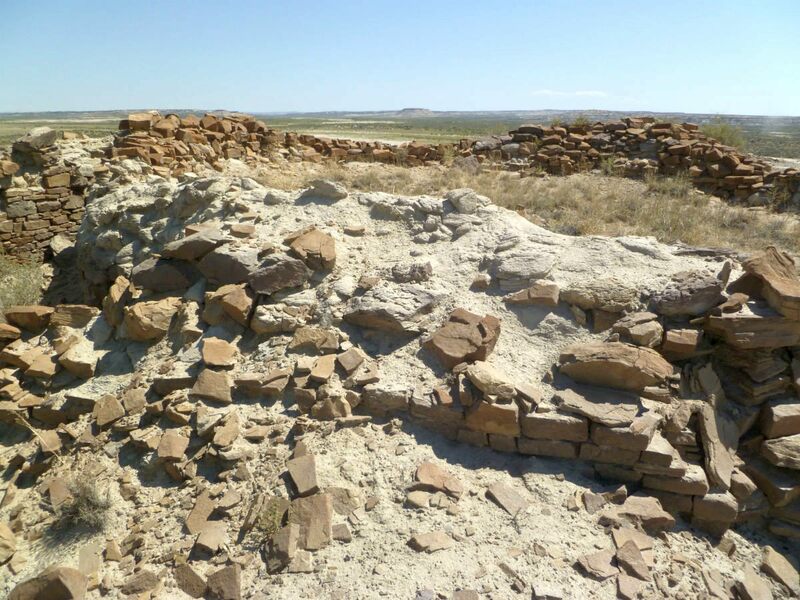 West House had four of its rooms fully excavated. 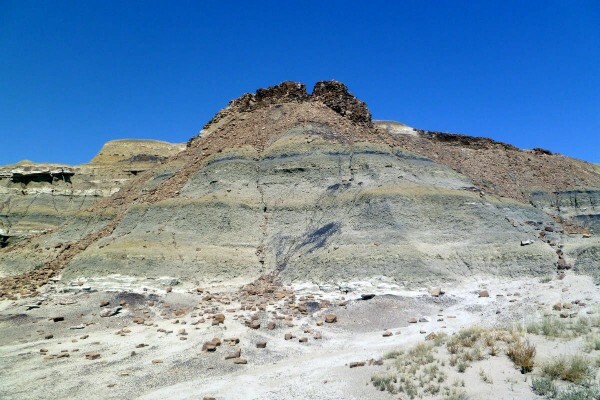 I found the site to be rather spectacular, attesting to the bad-assedness of the Chacoans, who when they decide to build something in a specific spot….well, terrain be damned! 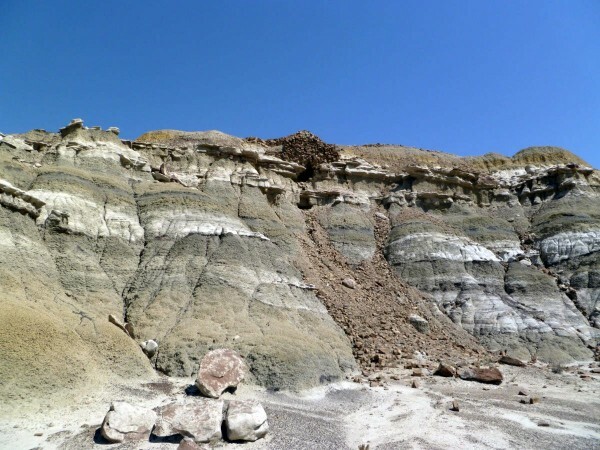 The badland, mudhill ridge upon which the stone structures are perched is very precarious, and made foot travel a challenge. 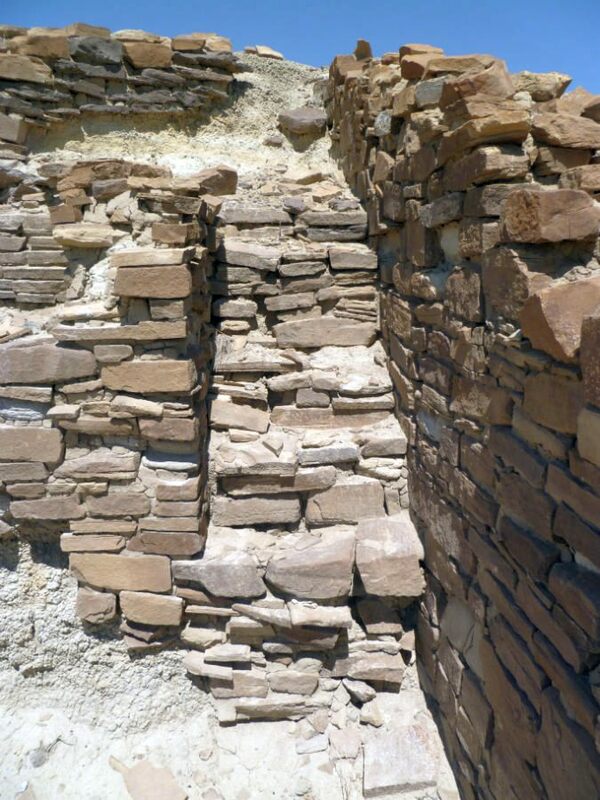 How hundreds of tons of stone still remain in place is beyond me. The number of stairways at the site was impressive, but not necessarily surprising considering the multiple levels. 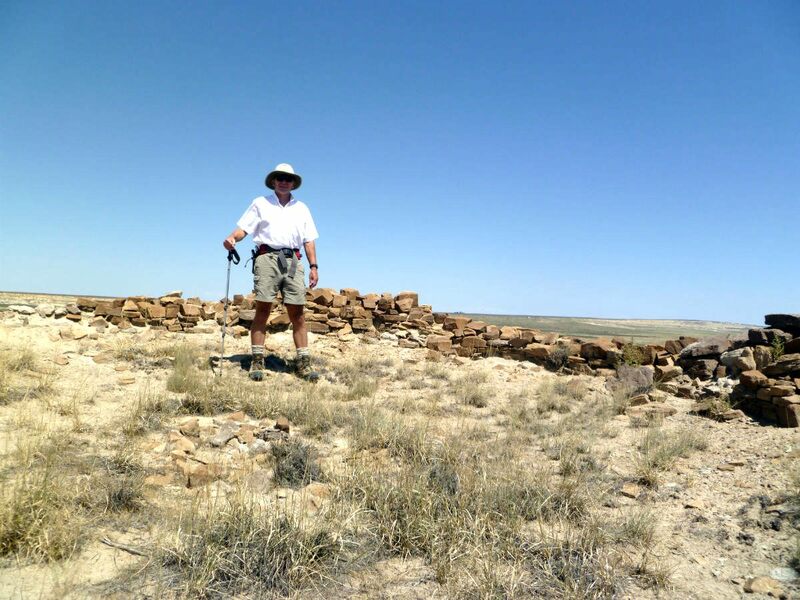 And the South House kiva was a beautiful piece of workmanship, although gravity was taking a toll on it. While much of the adobe wall block courses had melted away, there was still enough present to give a feel for this unusual construction technique, the mixing of adobe and more conventional Chacoan stone masonry styles. West House, seen from below. 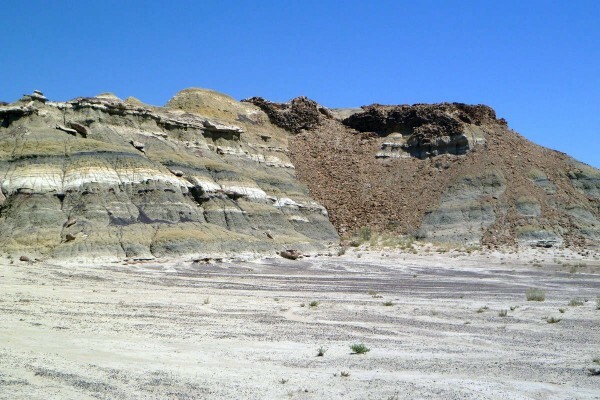 Kiva is overhanging the slope. Chacoans were crazy. 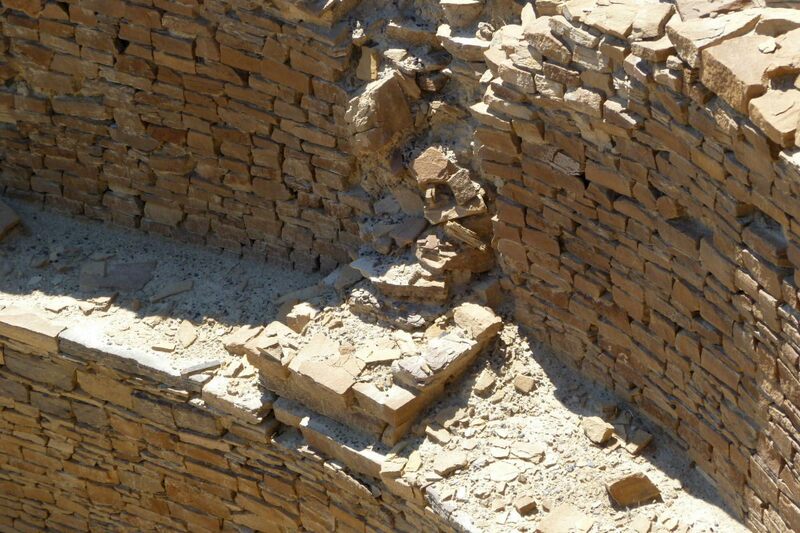 Looking down into West House kiva (and even further down behind it!). Roomblocks of the West House. Casa Hormiga and South House from below showing wall collapse and rubble piles. Yep, more Chacoan craziness. The eastern component of Bis sa’ani with Casa Hormiga in the foreground and South House on the right. Detail showing an adobe brick course in one of the Casa Quemada walls. Rabbit House room with two sets of stairways. Stairs in one of the Rabbit House rooms. Note partial adobe wall on the left. Second set of stairs in Rabbit House room. Third set of stairs in a second Rabbit House room. The exterior of the South House kiva. 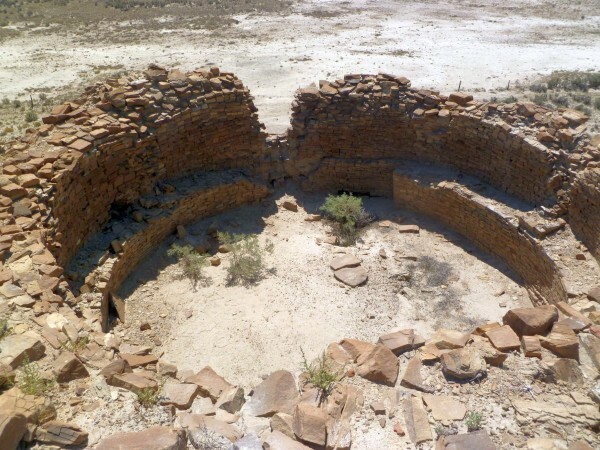 South House kiva. Ventilator shaft is to the rear, behind medium bush. 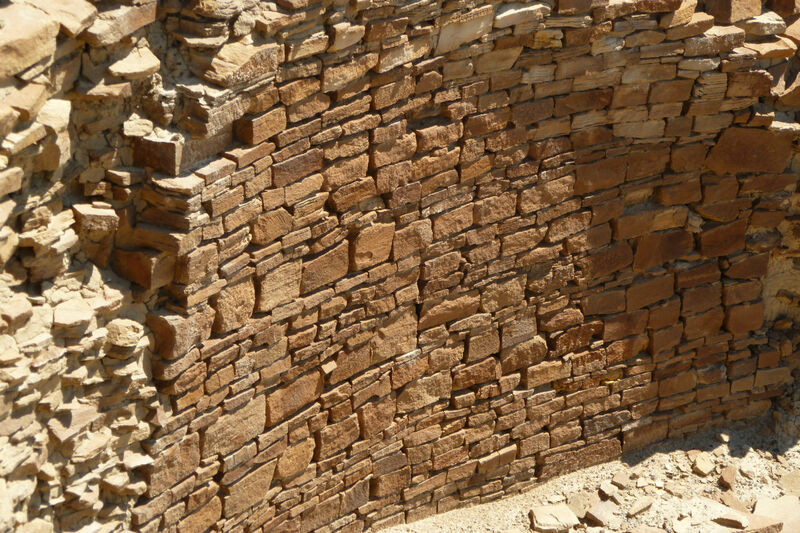 Detail of one of the roof support columns in the South House kiva. Detail of wall workmanship in the South House kiva. View of the South House kiva from below. Yep, Chacoan is a synonym for “batshit crazy”.